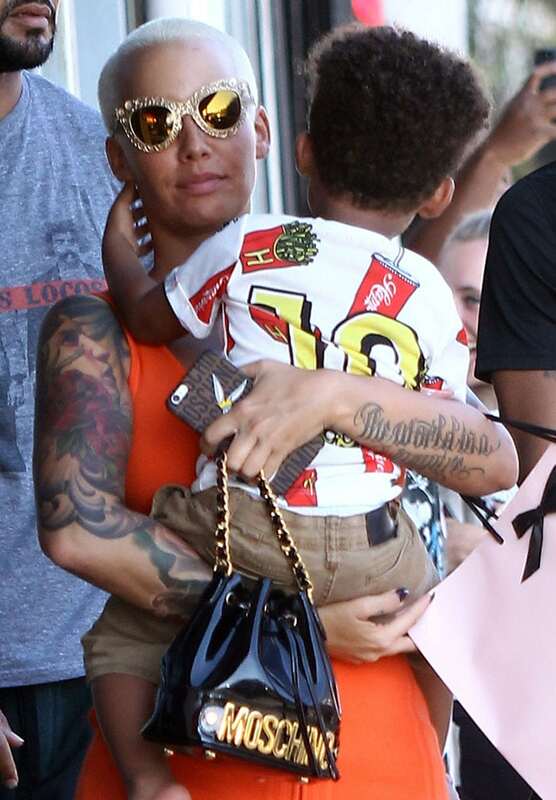 Showing no signs of being affected, the 31-year-old hip-hop artist displayed some motherly love as she was spotted out with her son in Los Angeles on Wednesday. Her arms were wrapped around her little one as they checked out some shops in West Hollywood. However, many were surprised to see her taking her two-year-old tot to a racy lingerie store, the Agent Provocateur. Many thought it was inappropriate, but the ever-controversial model/actress didn’t mind letting him see all the daring lingerie and swimsuits. For the day out, Amber Rose flaunted her curves in a form-fitting orange dress with a zip-up front by Ohne Titel. She styled her look with a pair of Dolce & Gabbana cat-eye sunglasses and flat sandals. The controversial star toted a Moschino drawstring shoulder bag and a bag full of goodies from the lingerie shop. Hoping to make peace with the Kardashian-Jenner family, she invited them to her SlutWalk, which will be held at Pershing Square in Los Angeles on October 3. 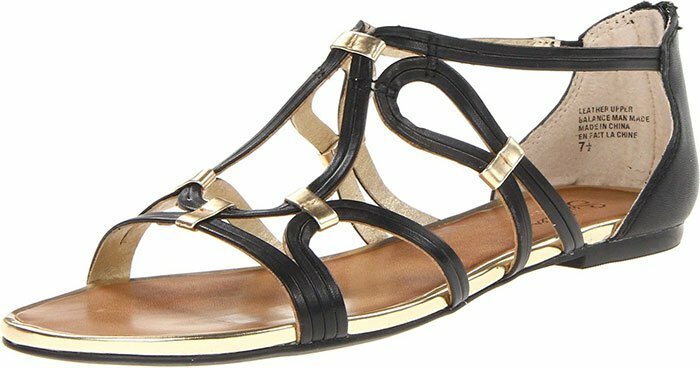 We have yet to identify Amber Rose’s flat sandals, but you might want to check out these great alternatives from Amazon.